Simply natural stock products are the heart of our business and are core to delivering the unique flavour across all our product ranges within The Culinary Food Group. Our unique cooking methods and slow roasting of our bones not only adds unique depth of flavour but gives us a head start in creating deliciously tasty recipes. We’ve been making these classic natural food stocks since 1995 using the finest raw materials available, years of culinary and technical know-how partnered with tried and tested cooking methods to produce the best range of stocks and broths around today. We take full control in the production of our natural stocks; using ingredients from carefully selected suppliers that allow us full traceability on all fresh bones used. The innovative chef led development team are constantly working on up to date culinary inspired creations which deliver robust flavours, textures and a wonderful silky mouthfeel that only comes from understanding the end product application and the consumer experience. 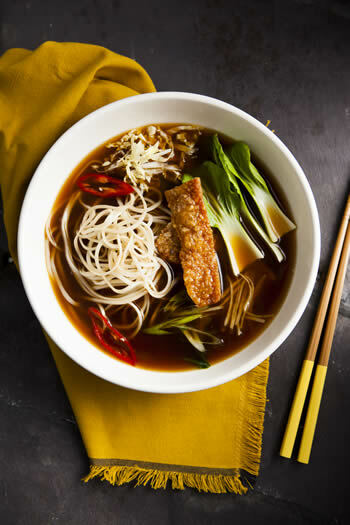 We not only create these mouth-watering stocks to add incredible flavour to our sauces for our sister companies but also for use in flavour building through brines allowing the natural roast flavour of cooked meat products to shine through. Simply now produce a range of intense fresh concentrates and paste products. These concentrates allow for lower usage levels with high impact on flavour and can be used in the manufacturing of sauces, soups, broths, ready meals and culinary ready to cook products.